Few people like moving, and this is because the entire process is often a hassle. A great deal of things must be packed and errands must be run, and the stress levels for those who have to relocate can sometimes fly off the charts. One solution to this problem is hiring a moving company in Ocean County. 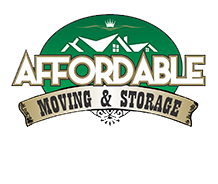 Affordable Moving & Storage takes the hassle, frustration and stress out of the moving process. We can lift, pack, unpack, store and transport your goods, taking the weight off your shoulders literally. Located along the Jersey Shore, Ocean County is one of the fastest growing communities in New Jersey that see new residents moving to this county every year. This county is also part of the New York metropolitan area, featuring many beachfront attractions to its visitors. It is bordered by Burlington County to the west and Monmouth County to the north. Why Trust Affordable Moving & Storage for Your Moving Needs in Ocean County? Relocating can be expensive, and our goal is to make sure your move is as inexpensive as possible. The prices we quote to you are what you'll pay and you don't have to worry about hidden fees. Unlike other moving companies, we also don’t charge extra for the space within our trucks that is unused. The simple fact of the matter is this: When moving your precious belongings, you should hire a company you can trust, with a proven track record and experience in getting the job done. It is for this reason that you should give Affordable Moving & Storage a call today!